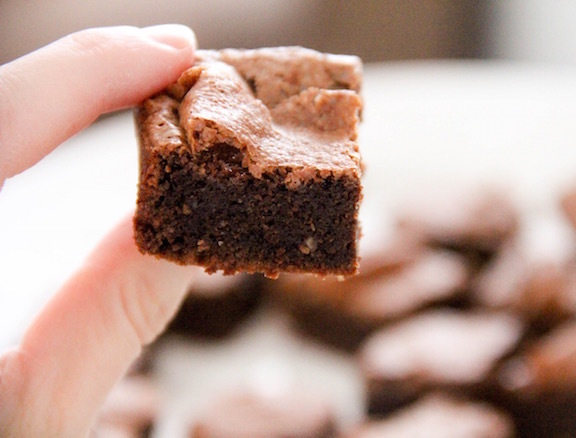 These little brownies take a whole of about 5 minutes to whip up, and they are SO GOOD! Not too sweet, with crisp crinkly edges and a rich fudgey interior. And the best part of all is that they're really not all that bad for you. They're made of whole eggs, nutella and ground almonds. That's it! 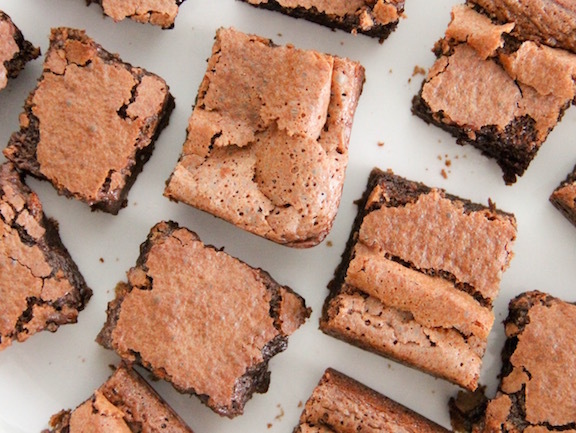 They're flourless and gluten-free as well, though you would never know it. Preheat oven to 350 degrees F. Grease and line the bottom of an 8-inch square pan with parchment paper. Meanwhile, measure out 1 cup of nutella in a glass measuring cup and microwave on high power for 1 minute. With the mixer running on medium speed, slowly drizzle in the warm nutella until just combined. Then mix in the ground almonds. Poor the batter into the prepared pan and bake at 350 degrees for 20-22 minutes (the centre should be set). 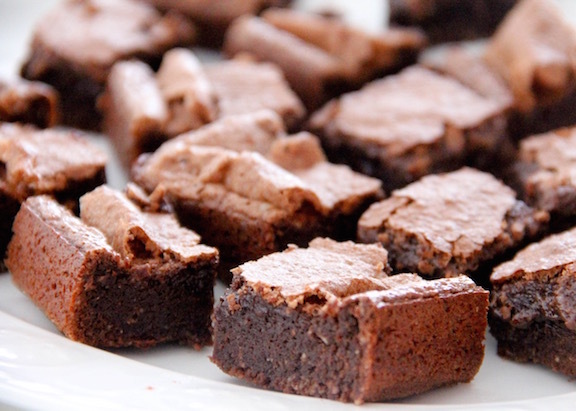 Allow the brownies to cool completely in their pan before slicing into squares. Enjoy! These won't last long at all! 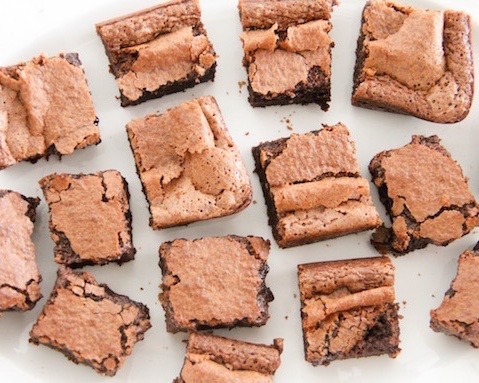 * These can actually be made as Two-ingredient brownies, with just the eggs and nutella. However, I find that the texture is a million times better with the ground almonds. I haven't tried it, but I imagine that ground hazelnuts would be especially good as a substitute for the almonds. I'm freaking out over these. Definitely trying them tomorrow! The only thing I don't have is Nutella and it's way too hot this evening to even think about going to the shops. Can't wait to make them and eat every single one. Hey Lauren, I have to say, I am beyond jealous of your heat wave! Thanks for providing such nice information to us. It provides such amazing information on care/as well Health/. The post is really helpful and very much thanks to you. The information can be really helpful on health, care as well as on Exam/tips.The post is really helpful. Thank you for updating the information.